Executive producing is Steven Spielberg, E. Bennett Walsh, and the director of the original MiB trilogy, Barry Sonnenfeld. Producing is Walter F. Parkes and Laurie MacDonald. Men in Black: International is scheduled to be released in theaters on June 14, 2019. The universe is expanding. 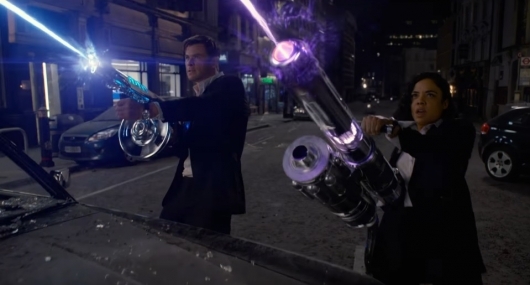 🕶️ Watch the trailer for Men In Black: International, in theaters summer.